The Sunday NBA Playoffs slate should be wildly entertaining outside of the one significant mismatch between the Bucks and the Pistons, and the best Showdown game looks to the between the Jazz and the Rockets in Houston. Let’s get a good breakdown of the main cogs on each team and try to get an idea of the most likely outcomes and best spots to be in your showdown lineups. — The Rockets have won 23 of their past 24 Sunday home games. — The Rockets have won their past seven home games. — The Jazz have covered the spread in each of their past seven games as underdogs against Western Conference opponents. — Eight of the Rockets’ past nine games as favorites following a road loss have gone under the total points line. — The favorites have won the first half in each of the Rockets’ past 10 games. The Rockets come into this game with James Harden ($12,600) being by far the most expensive player available, which of course makes sense. The MVP-caliber guard finished the regular season at 36.1 PPG and 62.1 DKFP per game while playing 36 minutes per contest. In the playoffs we know that rotations are condensed, so we can expect more minutes from Harden and the other main rotation pieces for the Rockets, especially considering the tough defensive matchup with the Utah Jazz. Extrapolating Harden out to 42 minutes would give him an average of 84 DKFP per game (two fantasy points per minute), making him by far the top option on the slate even before we consider the issues that the Jazz have in guarding his position (finished the season third in efficiency allowed at 3.7% above average). In trying to mine value from the Rockets we end up with Kenneth Faried ($4,400), who was at solid value during the regular season when allowed the minutes to operate. Averaging about 1.2 fantasy points per minute is a good mark from someone in his price range and with shorter rotations Faried has 25-plus minutes upside giving him plenty of opportunity to reach a ceiling. Faried’s ceiling is much higher than that of P.J. Tucker ($3,200) who only averaged .75 DKFP per minute, but there’s a solid chance that Tucker plays upward of 40 minutes because of his necessary defensive abilities and at near min price for the slate, his floor is one of the best available. In terms of the Rockets, locking in Harden and Tucker and building out would be the best strategy in cash games. Donovan Mitchell ($10,400) is the most expensive option on the Jazz and comes in at $1,800 cheaper than Harden. As good as Mitchell is, this price seems just way too high for a player in this game — especially considering he is a pure scorer and would have to find nearly 40 real-life points to come close to matching Harden’s regular season averages. The matchup is obviously fantastic, with the Rockets giving up 13% above average efficiency to Mitchell’s position (highest in the league by a good margin), but in order for him to end up as the best play at his price Harden would have to fail miserably and there’s not a good chance that happens. Just below Mitchell is Gobert, who actually averages more DKFP per game and should be a focal point of the offense against a weaker frontcourt defense with nobody apt to guard him effectively. Capela is a great offensive weapon, but the matchup is horrific against one of the most dominant offensive centers in the game, and Gobert has scored less than 44 DKFP in just two games in his past 10 contests so he’s coming into this one at the top of his game. Gobert actually represents one of the best values on the slate if you expect Tucker to stay on Mitchell like he should as usage would naturally come to the center instead. In terms of value for the Jazz, if we think that Tucker and CP3 are glued to Mitchell, Joe Ingles ($8,200) is in a sneaky good spot as he gets to deal with Harden. Harden is not a bad defender, but he’s going to be heavily preoccupied with the offensive workload and will be lacking on the defensive side of the floor. Ingles is expensive but does have four 40-plus DKFP performances in his past 10 games and this could be a spot that he puts up big numbers once again based on the flow of the game. Especially if he ends up playing 36-40 minutes his upside is massive in the first game of a series that should hold a lot of mismatches for the Jazz. I firmly believe that this first game will be Houston’s best chance to get a lead in the series, and it’s entirely necessary for them to win it with the Jazz having such a massive home court advantage. I think that James Harden ($12,600) does what he does best and makes the defensive effort of the opposition seem futile while Chris Paul ($9,000) and P.J. Tucker ($3,200) so a good job of containing the edge and forcing the Jazz down low where they won’t be able to keep up with the scoring effort of the Rockets. At captain, my favorite pick is actually Tucker, who I believe represents the best value on the slate and allows you to have high upside options around him. As mentioned a couple times in the article, I think this game goes in a way that funnels usage to Gobert down in the paint. 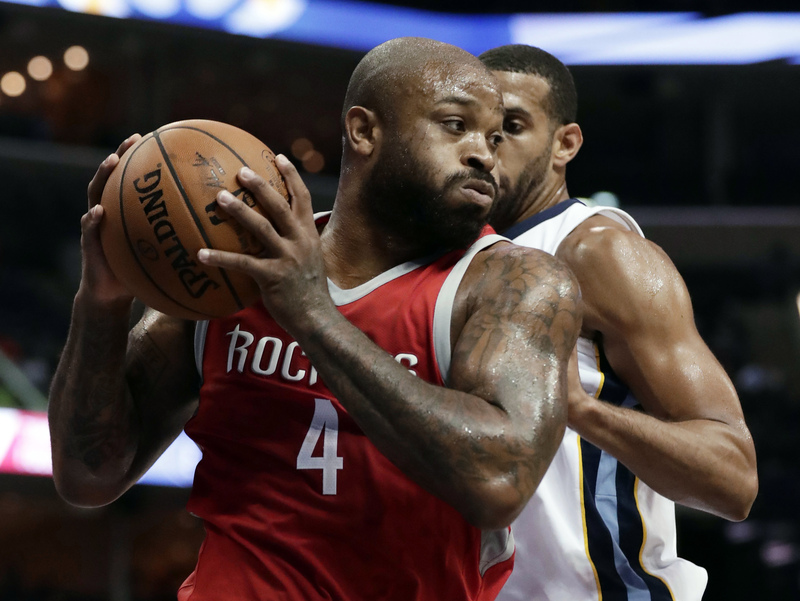 The Rockets know that Mitchell is the big usage guy for the Jazz and is one of the two main options they have for keeping up with a 3-point attack, so they will try to keep him in check with Paul and Tucker, thus making him get the ball to other players. This means that Ingles and Gobert should see a significant amount more scoring opportunities and although Ingles will get his, I believe that Gobert has the much better matchup against a defensively shaky Clint Capela. Furthermore, in his past 10 games he is averaging 18.8 PPG on 66% shooting and when someone can close out the season on a high mark it gets boosted with the minutes extrapolation in the playoffs. Gobert represents great value in both DFS and his points prop alike.